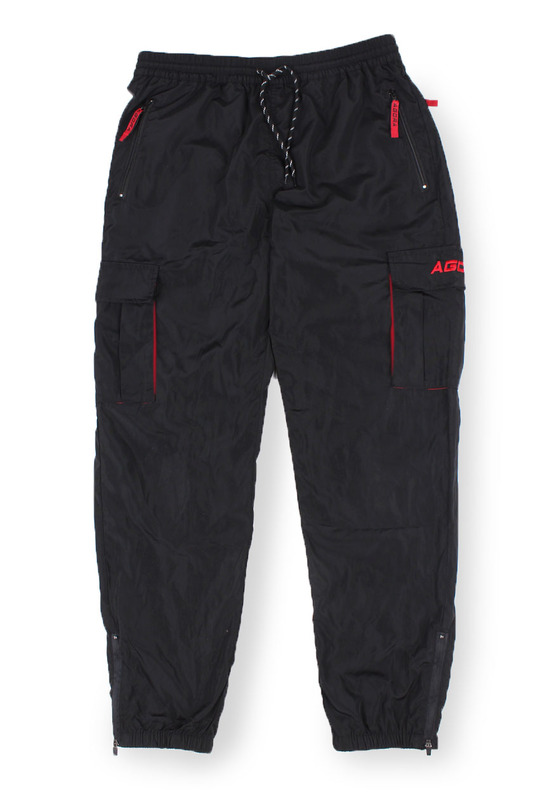 Agora Utility Cargo Pants. 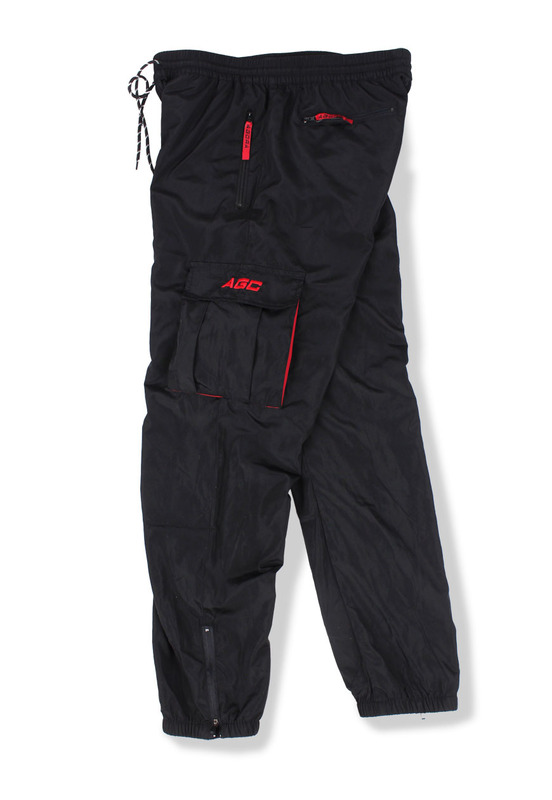 Lightly water resistant poly pants with contrast cargo pockets. Zippers on ankle and rear pocket. Matching red mesh lining.